1. What is the filesystem used in Rhel 5 and Rhel 6? 2. What is the difference between ext3 and ext4 filesystem? Overall maximum ext4 file system size is 1 EB (exabyte). 1 EB = 1024 PB (petabyte). 1 PB = 1024 TB (terabyte). 3. What is the command used to check any hardware changes made on the system in Linux? 4. Is it possible to increase swap partition? If yes then how? 5. What is a swap partition ? What is the recommended swap partition for 8 GB RAM? Ans: Swap partition is a feature used in Linux which uses the space allocated to it from the physical hard drive and is utilized by te system when RAM memory goes full. 6. What is the procedure you follow to extend a LVM partition? 7. What is the command to view all the available partitions on the system? 8. What is the command to view all the mounted partitions on the system? 9. What is the use of mtab directory? 10. How do you make permanent changes to any file inside /proc directory? 11. What is the default mode when you enter single user mode? 13. What does the last two sections define in fstab file? 14. What is the command to display all the logical volume available in the system? 15. How do you mount a windows share on Linux? Is it possible? How to mount Windows share in Linux? 16. What is the difference between NFS share and a Samba share? 17. What is the default permission applied on the user when you mount a NFS permission on any local directory in your system? 18. What is the command to view all the kernel parameters? 19. What is . and .. in very directory of Linux system? What is . and .. inside each directory path in Linux? 20. What is the command to view all the variables in your system? 21. How can you make a custom environment variable permanent so that it works even after reboot? 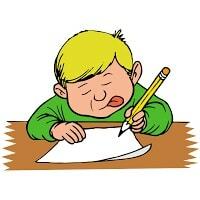 Deepak, Add some discussions on journal. Then it would be the full coverage of filesystems. If a system crashes, sometimes the loss of data occurs. Files written (created or modified), during a system crash, can be corrupted if not closed when the system shuts down. Using a journal allows data recovery of files and the data within it. What occurs during the journaling process is that a user submits a change to a file. The first thing the file system does is to mark the changes in a 'journal', or a separate file used specifically for journaling. There are three types of Journaling: writeback, ordered and data. Here, only the metadata is journaled and data is written to the file on the disk. In a crash, the file system is recoverable, but the physical data can be corrupted. File system recovery is the worst, but the performance is the best. This mode is the reverse of writeback. The physical data is written first before the metadata is journaled. The ordered mode allows the data and file system to be uncorrupted if a system crashes before the journal is written. File system recovery is medial. In the data mode, the metadata and file contents are journaled. System performance can be poorer than the other two modes, but the fault tolerance is much better. good work. its good to expalin more examples with practicals on .bash_profie file. much more info of journaling feature. Is it possible to reduce size of "/var"(LVM) mount point which is mounted on a running Linux machine ? Mount the file system and verify its size.